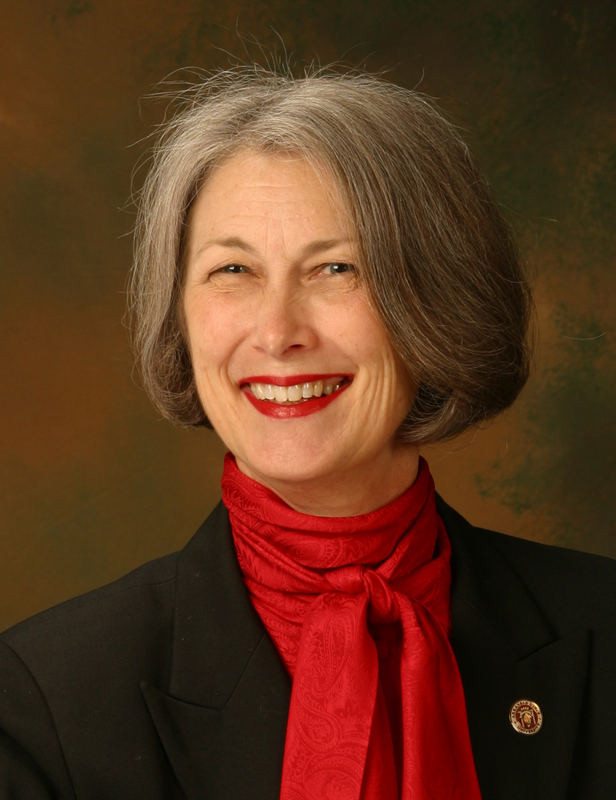 April 9, 2007 -- The vice chancellor who has served as Arkansas State University’s chief academic officer since 2002 has elected to return to full-time faculty status so she can devote her efforts to her research initiatives. Dr. Susan D. Allen, who holds faculty appointment in chemistry, physics and engineering, will become distinguished professor of laser applications and science when her new contract takes effect in August, announced Dr. Robert L. Potts, chancellor. In the meantime, she will continue her research and work on special projects as a senior advisor to the chancellor. "We are grateful to Dr. Allen for the outstanding achievements in research and academic affairs during her tenure, but we respect her decision to make this transition back to full-time research," Potts said. "This new role will allow her more time to carry out the research activity to which she is committed through the significant grant-funded projects she has developed. We want her to continue building her laser research center into a top-notch facility for which ASU will gain more and more national recognition." She and her colleagues are investigating such innovative technologies as gas masks that actively destroy biological agents; a particulate remover that Scientific American magazine calls a "laser dustbuster"; and laser technology for detection of terrorists’ agents of destruction, such as improvised explosive devices (IEDs) and "dirty bomb" materials. While ASU conducts a national search for her successor, Potts has asked Dr. Glen Jones to serve as interim vice chancellor for academic affairs and research. Jones, who currently serves as executive assistant to the chancellor, will not be a candidate for the permanent appointment. "Glen Jones is already quite familiar with the academic and research administrative structure at ASU, and his previous experience will be valuable during this transition," Potts said. "I have asked Dr. Jones to be very proactive in his leadership during the interim period as we continue to move the university forward." Potts said he hopes the search process will bring several well-qualified candidates to the campus this fall, with a target date of January 2008 for the new vice chancellor to be in place. During the past four years, Allen has been principal investigator for five grant and contract projects that totaled more than $6 million. She and her research colleagues have published 22 scholarly papers about their work. During this time period, Dr. Allen also has been granted a patent for one of her projects, and she has six more patent applications in process. "At the same time, the sponsored projects and research portfolio at ASU-Jonesboro has more than quintupled," she told the chancellor. "We have a basic research infrastructure and strong, research-oriented deans in place . . . new interdisciplinary undergraduate and graduate programs have been approved and new retention programs have resulted in increases in both first to second year retention and graduation rates, with additional gains expected." One of Allen’s first responsibilities after arriving at ASU in 2002 was to oversee the development and staffing of the Arkansas Bioscience Institute’s research facility on the south edge of the campus. ASU is one of the member institutions of ABI, which Potts said has benefited significantly from Allen’s leadership in establishing ASU as one of the state’s research universities. "I am proud of my accomplishments and hope to continue to increase the reputation of ASU from a different perspective via a more active participation in the burgeoning laser research effort at ASU-Jonesboro," she added. Subsequent to his appointment to the President’s Office staff in 2002, Jones’s primary responsibility has been development and implementation of a strategic diversity program for faculty and staff. He also holds a faculty appointment as associate professor of accounting and teaches part-time in the College of Business. Jones earned his bachelor’s degree at Henderson State University, his juris doctor degree from the University of Arkansas School of Law, and his master of laws in taxation from the University of Florida School of Law. Last summer, he participated in Harvard University’s Institute for Educational Management. He has published several scholarly articles in professional journals and made presentations to professional groups in business, law, and accounting.